Today, 94 percent of 225 surveyed emergency medicine programs in the United States and Canada use only nonanimal methods, and that number grows each year. 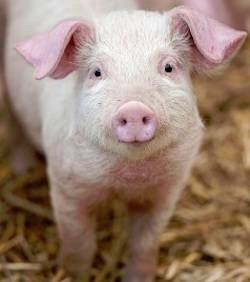 I am writing to share an exciting Physicians Committee victory: The University of Tennessee College of Medicine Chattanooga has ended the use of pigs for training future emergency medicine doctors! We couldn’t have done this without your support. Countless phone calls and e-mails to the school made all the difference and helped us put a stop to animal suffering while modernizing medical training. And we also could not have done this without donations from our supporters to help fund this campaign all the way to a successful outcome. In 2016, the Chattanooga campus was the very last medical school in the country using animals to train students. And after 31 years of tireless, dedicated campaign work by the Physicians Committee, we were able to declare all medical schools in the United States and Canada free of live animal labs. However, as you know, after medical school, many physicians go on to residency programs to become specialists. The emergency medicine residency in Chattanooga was still using animals and asked trainees to make incisions in live pigs, insert tubes and needles into the animals’ chests and abdomens, and cut into their veins. We’ve been working hard to modernize emergency medicine residency programs, and Chattanooga is the latest program that has replaced animal use and stepped into the 21st century. Today, 94 percent of 225 surveyed emergency medicine programs in the United States and Canada use only nonanimal methods, and that number grows each year. Thank you for helping us make this and so many other accomplishments possible.